Acumen Seals implements one of the largest cartridge mechanical seal programs in the World and offers specialised custom designed mechanical seals for problem applications in the process industries. 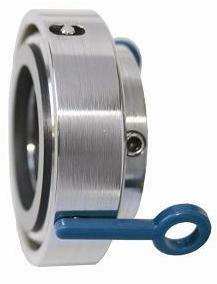 We are an innovator in the field of new seal designs. Based on this experience we offer a completely new generation of standard mechanical seals with the highest technology and at competitive prices. Acumen Seals appreciates the problems of the end user where T.B.M. is of prime importance and have pride in putting the customer and his / her problems first, to the extend to produce custom designs for specific application should the problem be such that a standard seal is unsuitable. Our market position as innovative specialist in the mechanical seal industry has always been to provide the highest reliability, process safety, and the most economically sound choices through market transparency. Our wide range of cartridge mechanical seals will convince you, especially if all life cycle costs are calculated, to use them exclusively on a long-term basis. Whether you require an exchange to gland packings or the upgrading to the latest generation of mechanical seals, we believe we are in a position to offer a product range unique in the industry to suit your needs. Over recent years we have redeveloped and designed new mechanical seals, to further reduce maintenance costs and increase machinery efficiency. From DIN seals to API, Acumen Seals have the solution. PRESSURE BALANCING: All stationary seals are pressure balanced. Due to this design, with lower face load and reduced wear, a reliable and longer service life is offered. STATIONARY DESIGN: The majority of our cartridge mechanical seals are stationary, meaning the springs are taken from the rotating side of the element and placed on the stationary side. All intolerances of the pump and seal are adjusted for once upon installation. On a dynamic design the single spring adjusts for the misalignment twice per every revolution. These movements within the seal part result in tremendous vibrations reducing the service life of the seal considerably. The stationary design results in the economic efficiency being improved reducing plant down time, costly equipment repairs, and completely eliminating the need to purchase expensive sleeves. CARTRIDGE DESIGN: All installation difficulties and mistakes are largely avoided. Acumen Seals offer a wide range of cartridge seals. Since wear and spare part costs are the same, total running costs are the same as for component seals. SAFETY SEALS: This development provides a high level of safety even after a possible seal failure. DOUBLE SEALS: Our double seals have a tandem action and their stationary design guarantees utmost reliability for operating service life. Sleeve with elongated pump screw. Barrier fluid shrouds under inner and outer faces.